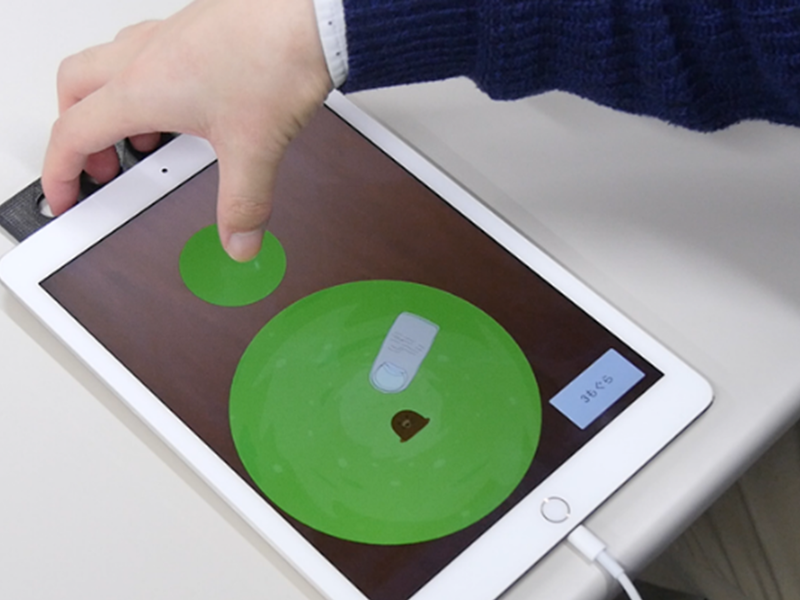 We propose a tablet app that aids in rehabilitation for carpal tunnel syndrome. Patients play a game on a tablet PC in which they catch animal characters displayed on the screen with their thumb. In addition, we developed a system that records patient rehabilitation logs from the tablet and sends them to the cloud, where doctors can observe a patient’s condition remotely.